Located in Bo District, Bandajuma village was abandoned during the war, but community members eventually rebuilt what they once had. 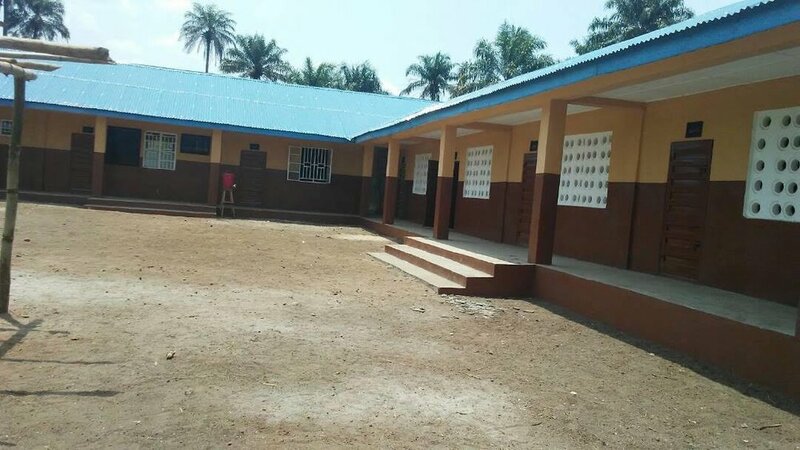 In 2014, the local government elected to build a local elementary school for students, who had to walk several miles to attend primary school. 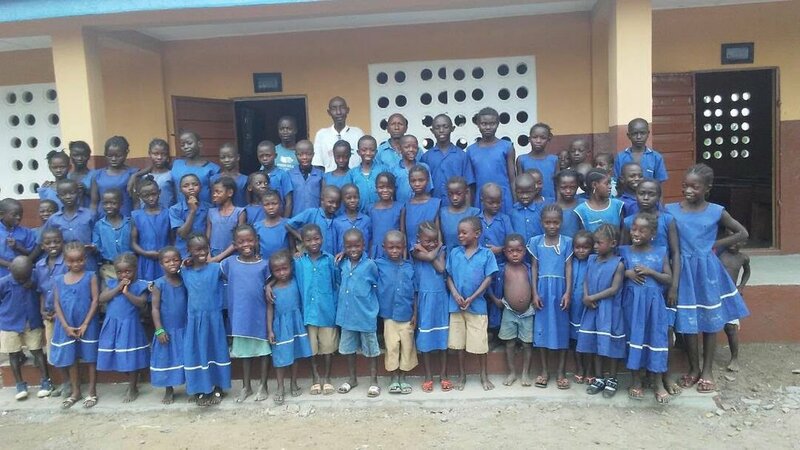 They built a three-room structure with local materials and named it Bandajuma Primary School, but within two years, it was clear the community needed a more permanent structure. A classroom in the structure Bandajuma village constructed in 2014. This photograph was taken in July 2017. 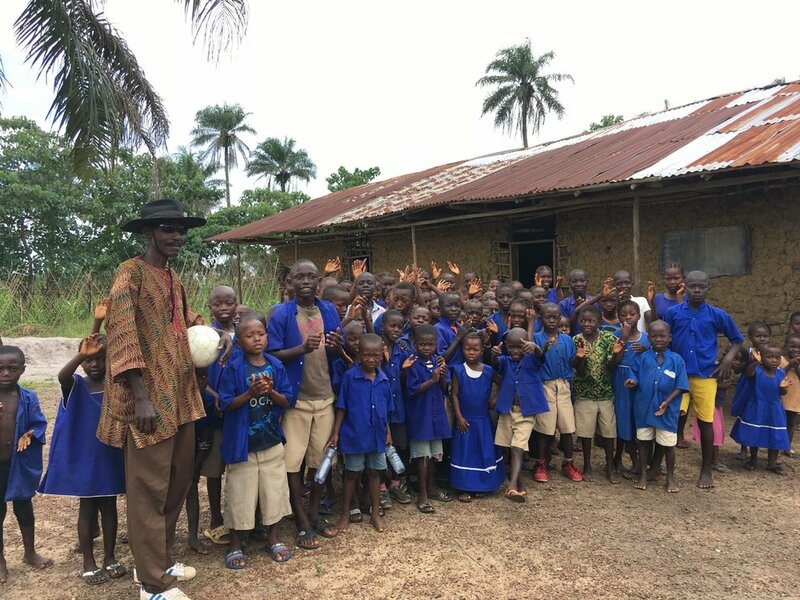 In December 2017, Global Playground committed to partnering with Village Care Initiatives Sierra Leone (VCISL) and Bandajuma village to build six classrooms, two offices, and a library for Bandajuma Primary School. Global Playground contributed $40,500 and the Bandajuma Village Development Committee contributed over $5,000 in labor, land, and materials for the project. Within four months, the classrooms, offices, and libraries were completed by local laborers. The buildings were officially opened to the Bandajuma community on April 21, 2018. — Shed Jah, Founder and Country Director of VCISL. Community members gather near the soccer field to celebrate the new infrastructure at Bandajuma Primary School. 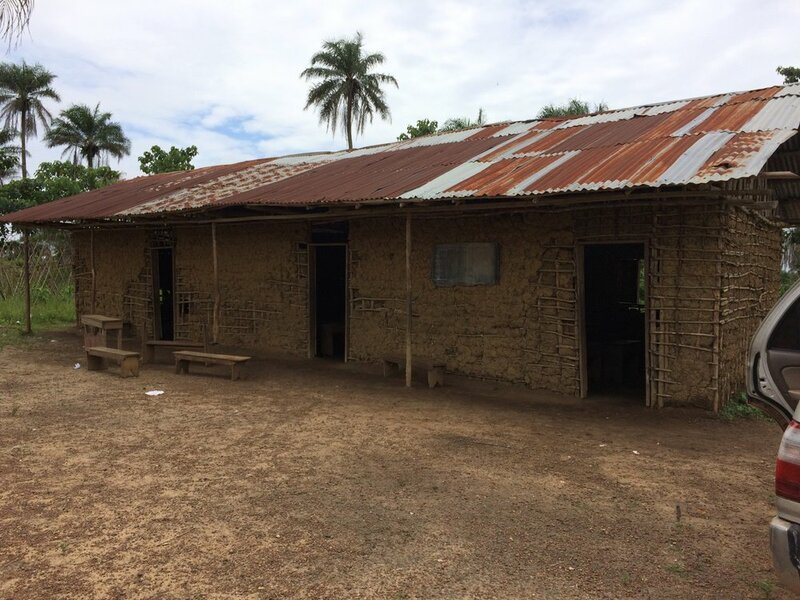 The permanent establishment addresses the community’s longtime need for a school, replacing the makeshift building constructed of sand, rocks, mud, and sticks from 2014 that has since weathered away. Global Playground is proud to partner with VCISL and Bandajuma village to create infrastructure that the community can take ownership of for years to come. School by school, year by year, Global Playground works to expand the beaten paths that limit youth education and opportunity in developing countries.